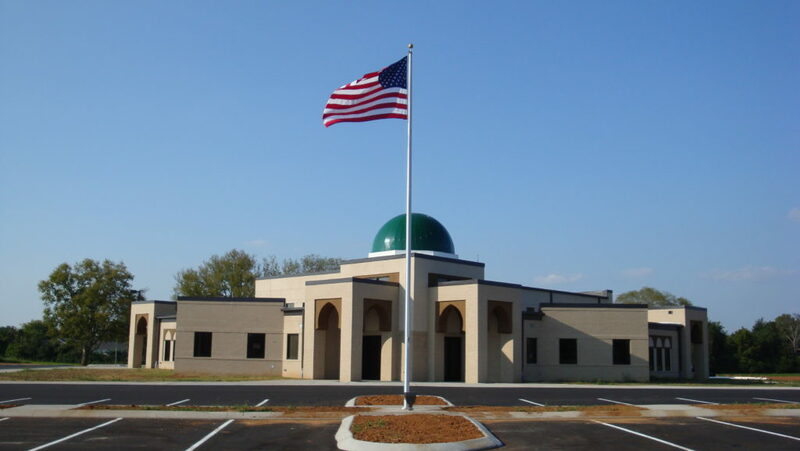 Washington D.C. – Today, in a significant victory for religious freedom, a Tennessee mosque voluntarily dropped its lawsuit after winning the right to meet at its newly built mosque. This puts an end to the two-year-old legal dispute over the Islamic Center of Murfreesboro, which has been represented by Becket. The Islamic Center of Murfreesboro has been part of the Murfreesboro community for over thirty years. In 2010, the Islamic Center began building a new mosque to accommodate its growing congregation. Unfortunately, its efforts were met with hostile protests from a small group of local residents who claimed that the congregation was threatening solely because of its Muslim religious beliefs. Hostility toward the mosque culminated in acts of vandalism, arson, and even a bomb threat, which resulted in a federal indictment. In June 2012, opponents of the mosque sued Rutherford County, alleging that the County should not have given approval for construction of the mosque. A local Chancery Court judge ruled in favor of the mosque opponents, concluding that county approval of the mosque was subject to a heightened legal standard when compared with other houses of worship, due to the “tremendous public interest” surrounding the mosque. In July 2012, Becket filed a separate lawsuit on behalf of the mosque in Nashville federal court, arguing that subjecting the Murfreesboro mosque to a different legal standard than a Christian church violated the federal Constitution and civil rights laws. The case was heard the day before the start of Ramadan—the holiest month in the Muslim calendar—and Chief Judge Todd Campbell issued a temporary restraining order requiring the County to conduct the inspection process and grant a certificate of occupancy for the mosque as it would for any other house of worship.In support of the Islamic Center of Murfreesboro, over 100 religious leaders from a wide variety of faith traditions signed an open letter  calling for equal treatment of the mosque. And on August 10, 2012, the mosque was able to use its new building for the first time. Ultimately, Rutherford County appealed the initial decision from the Chancery Court, and the Tennessee Court of Appeals ruled in the county’s favor, concluding that approval of the mosque was appropriate. The Tennessee Supreme Court declined to review the case, and the U.S. Supreme Court did the same.With all of the state-court lawsuits fully dismissed, all parties agreed that the mosque’s 2012 lawsuit was now moot and could be voluntarily dismissed. The federal court dismissed the suit today. Becket is a non-profit, public-interest law firm dedicated to protecting the free expression of all religious traditions. For over 20 years, it has defended clients of all faiths, including Buddhists, Christians, Jews, Hindus, Muslims, Native Americans, Sikhs, and Zoroastrians. Its recent cases include two major Supreme Court victories: the landmark ruling in Burwell v. Hobby Lobby, and the 9-0 ruling in Hosanna-Tabor v. EEOC, which The Wall Street Journal called one of “the most important religious liberty cases in a half century.”For more information, or to arrange an interview with one of the attorneys, please contact Melinda Skea at  media@becketlaw.org or call 202.349.7224.